Control Your Funds. Control the Road. Control Your Funds. Control the Road. 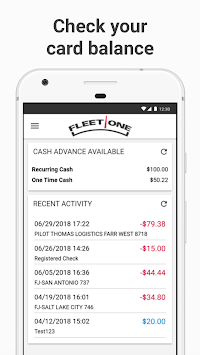 Fleet One CardControl is the innovative source that allows you easy access to your Fleet One card features while on the go. Get real-time card balances and check your transaction history. Register checks and find fuel locations by price and route. Whatever your need, Fleet One CardControl allows you to quickly manage your account anywhere. 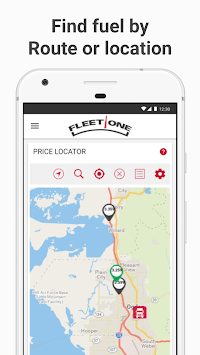 This convenient, secure mobile app is your ultimate source for Fleet One card access and control. 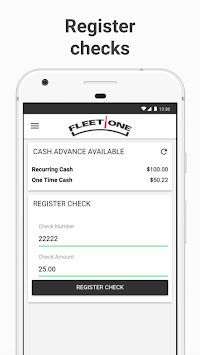 While free for the public to download, Fleet One CardControl requires users to be a current Fleet One customer with a valid and active Fleet One card number and password/PIN in order to use this app.